WORK IN PROGRESS….. We are are improving our look !!! Even during the winter season we can’t stay still…we are working for you. We had to wait for the right moment, but finally the new trees have arrived, to offer you a more pleasant stay. 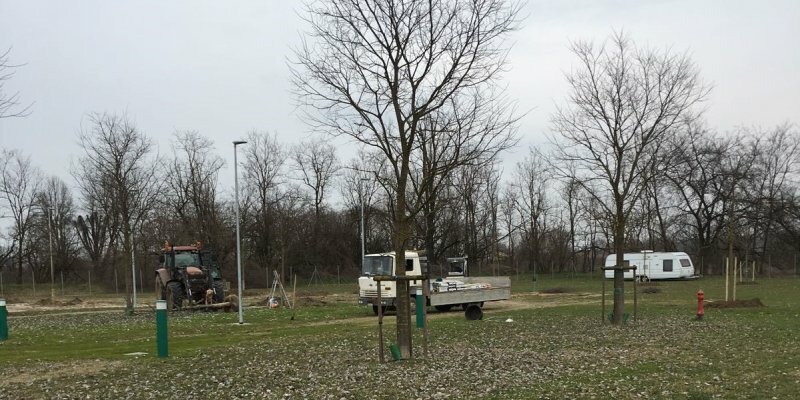 Yesterday 3 different kind of deciduous trees have been planted. We set 18 Celtis Australis between the pitches, close to the already existing ones.